We are so pleased that you are viewing our staff page. 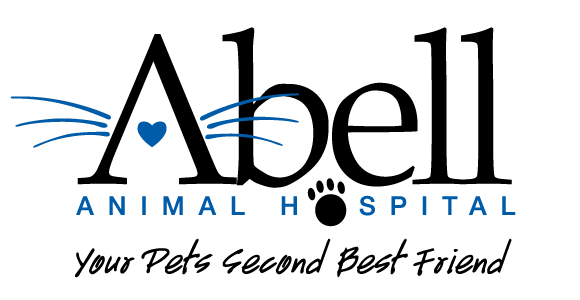 All of us at Abell Animal Hospital feel we are a close knit family, bonded together by longevity, affection and compassion for animals. 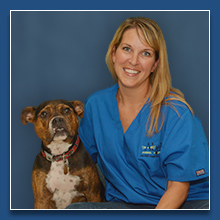 We are proud that many of us have been working at Abell Animal Hospital for close to 20 years. This makes us unique in the most wonderful way possible. 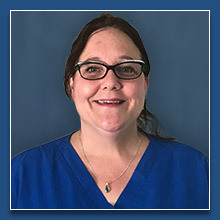 Cheryl obtained her AAS in Veterinary Science in 2001 from Bel Rea Institute in Denver CO. She was a lead technician for 6 years at an emergency/specialty practice where she knew she had found her passion for Veterinary Medicine. 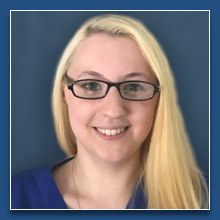 She is excited to have the opportunity to become practice manager at Abell, and strives to provide patients with a comfortable experience, while focusing on client education. In her free time, Cheryl enjoys traveling, gardening, coaching, and spending time with her 3 beautiful children. Melissa started at Abell in 2002 in the kennel department. 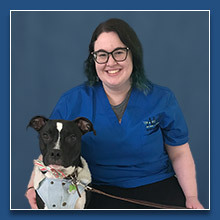 Since then, she has ventured through the different areas of the hospital as a veterinary technician, assisting in surgeries, to her current position as a senior receptionist. As of 2012, Melissa earned a Bachelor degree of Science in Health Administration with a concentration in Long-Term Care. Although she has gained a profound love working with animals and being a part of the bond between humans and animals, she may someday travel to the human side as she has developed a passion working with the elderly. She lives with 2 dogs, Radar (Shepherd Mix) and Foxie (Pomeranian), and one cat, Teddy (Domestic Shorthair), but if she could, she would have a much larger family. When she is not spending her time at work or with her pets, she enjoys spending time with her family and friends and trying out different restaurants because of her great love for food! Sandi has been with a Abell since the summer of 2017. She knew since childhood her love and passion was being around animals. 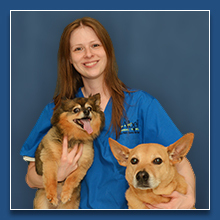 What she enjoys best about her job is being able to educate owners on how to best take care of their beloved pets. In her spare time she enjoys spending time with her family and friends, reading, meditation, and walking. She also enjoys helping people to be the best they can be! 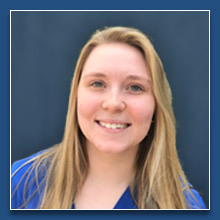 Katherine has a BS in accounting from Eastern Illinois University. After working in the field for a few years, she realized that helping animals was her calling. She graduated from the Vet Tech Institute at Fox College with her AAS in Veterinary Science in 2012. 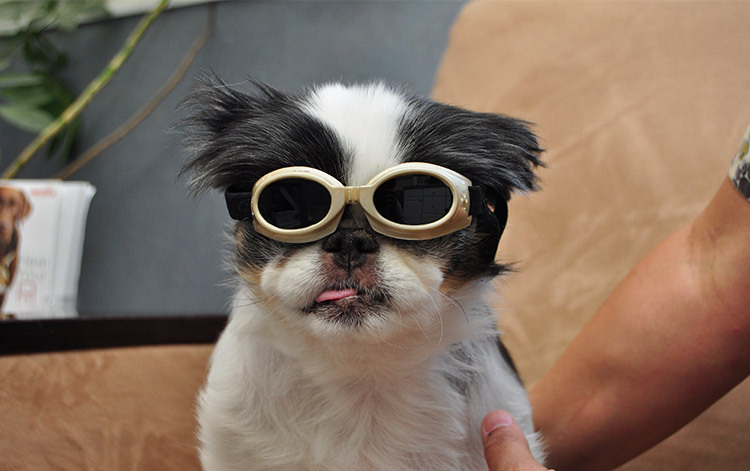 Katherine enjoys the outdoors, traveling to the Caribbean, and long walks with her Chihuahua/terrier mix. Bailey started at Abell in the summer of 2012. After a long haul from Houston, Texas she is still adjusting to all the traffic and extreme weather that Chicago brings. She’s an avid reader and enjoys spending time with her boyfriend and family. She currently lives with her 2 year old Yorkie, “The Grim” whom she adores more than life itself, a 5 year old long-hair Siamese mix, Cisco, and the newest member of the crew, a 1 year old Bengal, Diablo who terrorizes the house. Although she is content working with small animals, she has an infatuation large cats and hopes to someday work with lions, and to eventually have a lion sanctuary of her own. 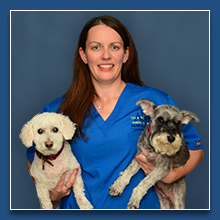 Katie has been working in the veterinary field since 2000. She has always had a passion for animals and anything animal related which is why she decided on a career as a veterinary technician. In her spare time she enjoys caring for her own furry family members, exploring the outdoors, working on home projects and discovering new places around Chicago with her husband and two children. 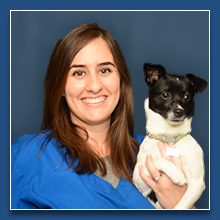 Courtney began working at Abell Animal Hospital in the late summer of 2013. She started as a kennel assistant, and with hard work and a true love of the job, has moved up to the role of a technician. She has always had a passion for helping animals and is looking to pursue her technician certification in the near future. Grace started at Abell after she was hired during her internship in late 2015. 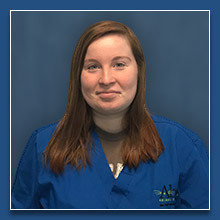 She graduated the Veterinary Assistant Program at Harper College in 2016. 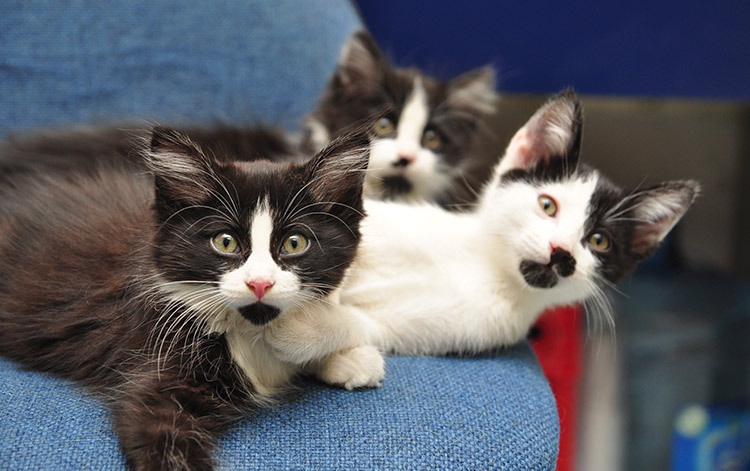 Currently, she is working towards becoming a Certified Veterinary Technician. She loves her little beagle Paczki, and her cats Munckin and Missy! 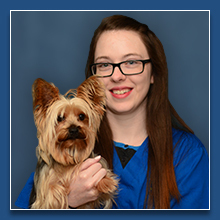 Brittany started working at Abell in the spring of 2016 as a kennel assistant. She has always had a love of animals and has kept exotics her whole life. She loves her pit mix Ellie, who she met through Abell, as well as her many pet reptiles. Her dream is to work with and rescue exotic animals. Amanda grew up in Chicago and spent many years trying to figure out what she wanted to do, only to decide to turn her love of animals into a career. 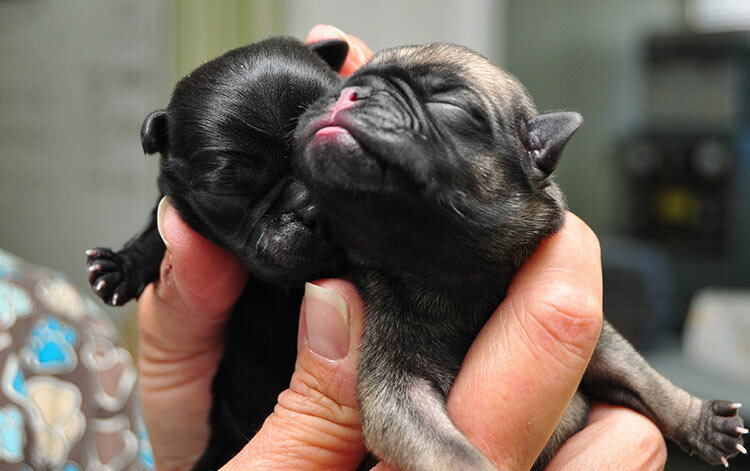 She is currently enrolled in Penn Foster’s vet tech program. When not working, she loves spending time with my big goofy mutt, Bender and boyfriend, Eric. 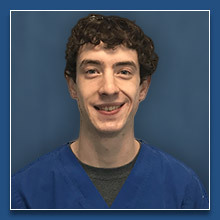 Patrick began at Abell Animal Hospital in the spring season of 2018, where he discovered his true passion, the care taking of animals! When he’s not helping out at the practice, you can find him at the library where he’s studying to pursue a career in software engineering. He’s obsessed with his chocolate Labrador Retriever, Blue, and fills his free time with family activities and volunteering at a local shelter.